I found this at the grocery store last night. It’s not supposed to come out until the Q case. And it has this weird case code on the back. Notice anything? The card seems a little empty doesn’t it? 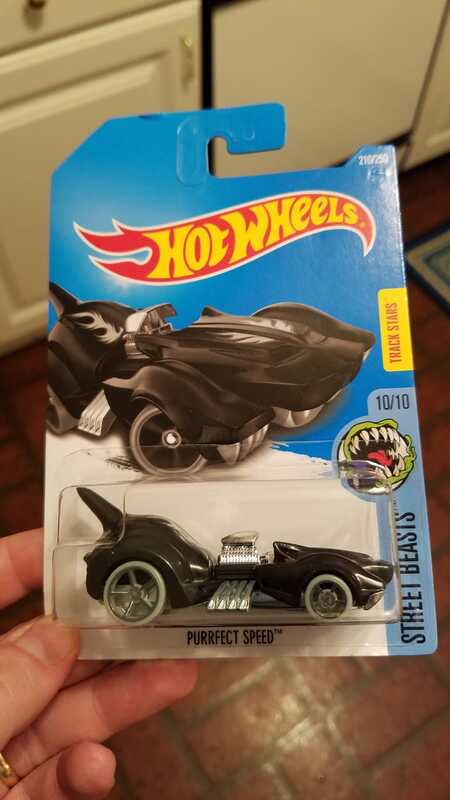 There’should no Hot Wheels Scan & Race QR code and no Guaranteed For Life stamp either. And this was the only card like it. All the other cards from this case have those logos and look like every other card on the pegs from previous cases. Does anyone have any idea what’s going?